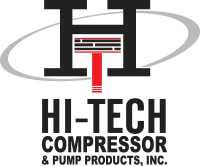 Hi-Tech Compressor and Pump Products, Inc. provides expert reconditioning services and quality manufactured products to the oil and gas industry. Our entrepreneurial spirit has gained us a dependable reputation in the way we do business and how quickly you will see a resolution. With a combined experience of over 300 years, Hi-Tech Compressor has become the most reliable business in the compressor industry. Our progressive attitude will continue to drive Hi-Tech Compressor to expand and develop while recognizing that our clients throughout North America rely on us to keep their compressors and pumps performing at consistently high levels 24/7/365.